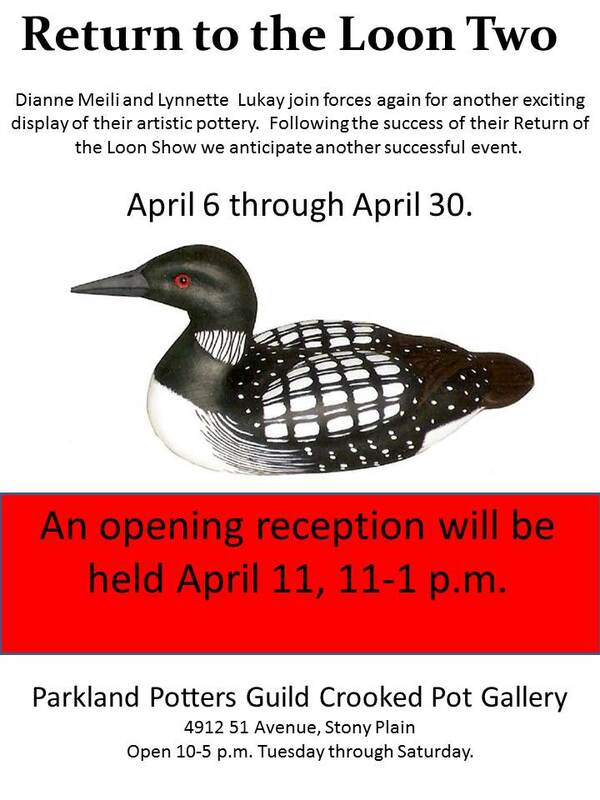 April: Return to the Loon Two, featuring artisans Dianne Meili and Lynnette Lukay. Dianne and Lynnette join forces again for another exciting display of their artistic pottery. Following the success of their Return of the Loon Show last year we anticipate another successful event. This feature runs April 6 through April 30 at the Crooked Pot Gallery. Everyone is invited to an opening reception to be held April 11 from 11 a.m. to 1 p.m.
Spring Classes are underway. Watch for information on fall registration!